The DPD Academy is designed to facilitate focused and productive engagement with contemporary, multidisciplinary scholarship on difference, power, and discrimination; critical pedagogies; and curriculum transformation. 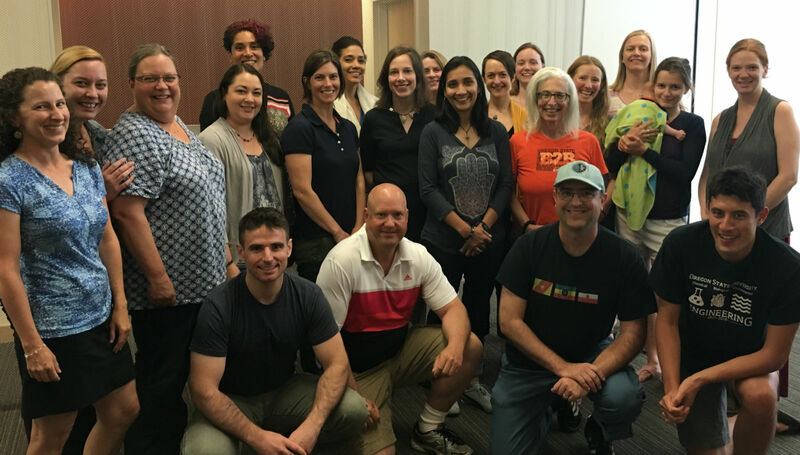 As part of the DPD Academy, participants work on revising and/or developing one or more courses, to meet OSU’s DPD course criteria. Three to five follow-up sessions (15 hours total) held throughout the academic year immediately following the institute. All teaching faculty who have not previously completed a DPD summer seminar are eligible to apply for the DPD Academy. The DPD Academy welcomes applications from both individuals and college curriculum transformation teams. Applications from College curriculum transformation teams - defined as two or more faculty members - who are working collaboratively to revise or develop one or more courses that will meet DPD course criteria are strongly encouraged. Preference will be given to applicants working on courses for which they intend to seek DPD designation. Prospective participants who are working on courses that meet the DPD course criteria but are not seeking DPD designation are welcome to apply. Participants who have previously participated in a DPD summer seminar may participate in the 2017-2018 DPD Academy as curriculum transformation team leaders, based on availability of space in the Academy. Past participants are currently not eligible to receive the DPD Academy stipend. Nine-month faculty members receive a $3,000 stipend for participation in the DPD Academy. All other faculty members receive a $1,000 professional development stipend. 2018-19 deadline for submission: Friday, April 1, 2019. Participants who present an academic paper based on work developed through the DPD Academy are eligible to apply for up to $250 in DPD conference travel support. Application Deadline: The DPD Academy will not be held in 2019. Check back later for the 2020 application deadline. You are a faculty or staff member who does not meet the eligibility requirements but have an interest in participating in the DPD Academy in order to pursue a project that is aligned with the values of the DPD Program. You would like more information on the DPD Academy.